Hello Happy Site Owners! 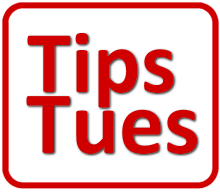 This is the BlogAid Tips Tuesday Podcast for November 5 2013 and I’m your host, MaAnna. This week’s tips include the new Google Fall Webinars schedule, how expertise will not grow your business, how to develop a content strategy, what Google’s looking for instead of keywords now, an updated theme from StudioPress that looks a lot like one they’ve already got, a case study that all local small business owners should read on negative SEO, what you need to know about the rollout of more G+ vanity URLs and authorship, and for dessert, a gaggle of Google scripts. So let’s dive in. Listen to the podcast. I’m going to be doing another website review day very soon. And the announcement will go out in BlogAid News so be sure you subscribe to it and open it quickly. Usually when I do these, I offer a review to the first five folks that contact me. Last time it filled up in about ten minutes. No kidding. Of course, there are several folks who attend who just want to watch, listen, and learn. We have such a great variety of sites that everyone stays for the whole thing because each site brings up different tips and strategies. You never know what ah ha moment you’re going to have when you start seeing sites the way I see sites. It will really help you get a peek into how other folks are making their sites better too. I also want to mention my post from yesterday on what’s in the new 2.8 version of WishList Member. There are some super promotional features built in that will help you market your content and gain and retain members. I use WishList for the BlogAid Video Tutorial site and there’s a reason for that. I need my membership site to do a lot of things for me, and integrate with other plugins and services seamlessly. There are lots of membership plugins out there. My advice is to get the one that will do the job, and stop looking for ones that are the easiest to setup. Getting them up and running is a one-time process. After that, you’re stuck with what it can and cannot do for as long as you run that site. So, watch what criteria you’re using right up front. If you need help, get it. Way easier to do it right the first time. Okay, let’s jump into this week’s tip roundup. WordPress 3.7.1 is out and fixed most glitches that folks were experiencing with the 3.7 upgrade. And, as far as I can tell, most plugins that were having issues have been updated too. How about you? Have you upgraded and are you having any problems? Let us know what you’ve run into. But, don’t expect this to be a tech support thing. I can’t fix what ails WordPress at the core. Also, did you leave auto updates at the default setting of minor, or did you change it? I’m doing fine with it set that way so far. I would like to hear from y’all about what you’ve chosen to do and why, just so we can all see what folks are doing with it. So, be sure to leave a comment here on the blog or on G+. You’ll notice that the G+ comments show up first here on the site too. And there are usually a lot more of them than on the blog. It’s a great way to stay up with the conversation no matter who is sharing it on G+. And believe it or not, the last call is going out for recommended updates and changes to WordPress 3.8. They’re saying they plan to have that ready to go by end of the year. I’ll have more details about what’s coming in it as soon as they finalize the list. The StudioPress Magazine Pro theme is out and boy did it ever get a facelift. But to tell you the truth, it looks almost identical to the Metro theme as far as structure. There are some styling changes to set it apart, but not that much. Metro is one of their top selling themes, which probably accounts for this copycat styling. Makes me wonder what they’re going to do with the News theme, which was similar to the old Magazine theme. We’ll see. “Expertise will not grow your business.” That’s great advice from +Ryan Hanley. Honestly, this is a post that I’m reading and re-reading until it sinks in. Check out his G+ post with an excerpt from his book that features +Mark Traphagen and why his SEO expertise is not what’s making him one of the most sought after experts. New Learn with Google Fall Webinars have been announced and they’ve got a great lineup. This particular list started back in October, but you can watch the replays anytime. In all there are five for the month. Be sure to check the calendar because they are on different days, but always at the same time, which is 1:00pm ET. And, if you want to attend the live webinar, you’ll need to register. The first one is this Thursday, the 7th. Content marketing. There’s a difference between that and developing a content strategy. And one of the best ways to do that is to make it consistent. And one of the best ways to do that is to put it on a calendar. Shanna Mallon has a super post on the Content Marketing Institute blog titled Build Your Content Calendar: 3 Easy Steps. How she tells you to do your brainstorming session first is worth the read alone. You’ll be covered up in post ideas in no time. To stay with the focus on content, the recent changes on Google continue to demonstrate that they are no longer looking at just keywords. They are looking for folks who are producing spectacular content on topics. How Google is Forcing Your Content to Get Better is a post from Jay Baer on the Convince and Convert Blog that will help you get a grip on what’s going on in very non-technical terms. Even if it does not take your site all the way down, a hacked site will kill your SEO. Google Webmaster Central Blog has a nice post on easier recovery for hacked sites that you’ll want to bookmark. Now, this doesn’t cover how to repair the hack. What it does cover is how Google Webmaster Tools notifies you that there is a problem. You do have your site verified on Google Webmaster Tools, right? If not, either do it asap or contact me to help you. You’re not only missing these notifications, you’re also missing all the ways Google makes it easy for you to get your site indexed properly in the first place. And while we’re on the subject of things that will kill your site, you really ought to have a look at this case study by Phil Buckley on local negative SEO results. As a biz owner who hires an SEO firm, it is your responsibility to properly vet the practices used by that firm. There’s no way to tell for sure if the businesses that profited in this study hired folks to slam the competition, but that is a very real possibility. And, it’s up to you to check your online reputation now and then and see if this is happening to you too. G+ rolled out a bunch of changes last Tuesday. The bulk of them affected Hangouts and AutoAwesome. But making Vanity URLs available was mixed in the bunch too. And there’s a difference in vanity URLs, custom URLs, and Verified names. Jaana Nyström has been constantly updating this post since the change happened. You’ll want to read it before you claim your URL. And, if you have already claimed your vanity URL, don’t use it for your authorship connections. I’ve been following some super in-the-know SEO folks about this and from all of the testing they can do, it looks like you’ll want to stick with the long, ugly numerical URL for any authorship connections. That’s exactly the way I show it in the SEO and AuthorRank Video Course too. I won’t go into a lot of geek-speak here, but the skinny is that it has to do with the way Google redirects from your vanity URL to the actual source, with is the numerical one, and the way it passes what is known as equity. Some folks call that Google Juice. So, you want to be sure that you get all of that you can, especially when it comes to authorship links. And, for dessert today, on his Digital Inspiration Technology Blog, Amit collected up all of his tutorials on Awesome Things You Can Do With Google Scripts. Most are for Gmail, but there are all kinds of fun things you can do with these little guys. You are right the new SP Mag theme looks very much like Metro. I am getting disappointed in themes with SP. They are not what I liked when I started with them over 7 years ago now. Agreed Zee. Was really hoping their new head of design was going to breath life into the themes, being she has delicious, artsy themes of her own. Leaves room for the other Genesis design houses to do well. But, devalues their Pro Pack, which I rely on. Happy they have included more of those Community designs on their page so we can send clients there to get a good idea of more that’s available.